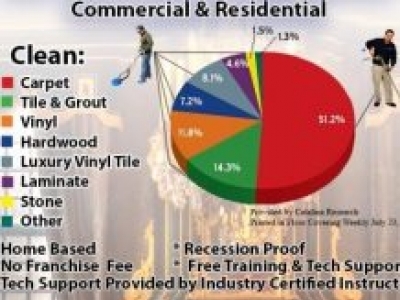 Carpet, Furniture, Tile Cleaning Commercial & Residential. Work from home. Growth business. Providing a service people need, not just want. Residential/commercial carpet & upholstery cleaning & maintenance services using special extraction & cleaning systems. 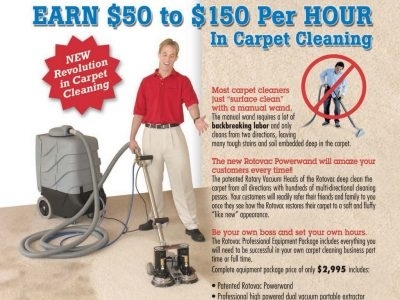 Rotovac Corporation provides the latest, patented equipment to start up a carpet cleaning business. The Rotovac Powerwand replaces the manual wand that most carpet cleaners have used for the last 35 years. WATCH OUR VIDEO. Low moisture carpet & upholstery cleaning. Process dries carpet within one hour after cleaning.